Blog Hoppin': First Grade Homework for the Year! 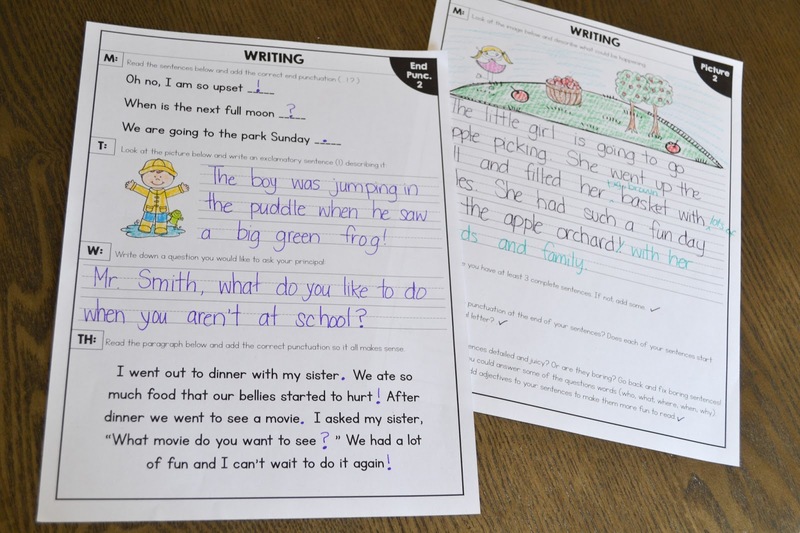 I like homework as additional practice and as a responsibility I think my students should learn to have at a young age. 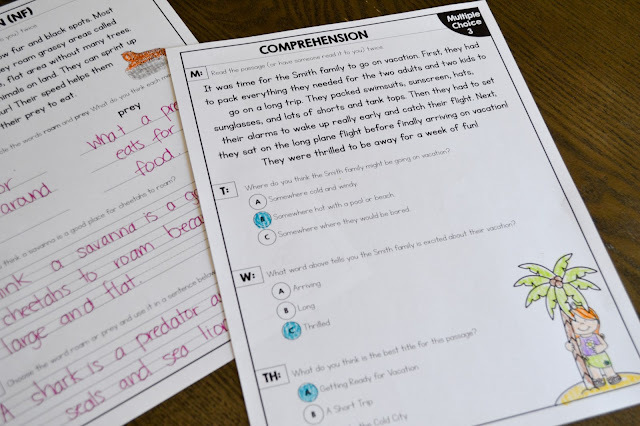 As they get older they will certainly have more demanding homework and the idea of homework is nothing new, so I want them to understand that homework is part of the school process and that learning doesn't end at 3:30 when they walk out of my classroom. That being said... sometimes homework is WAY TOO DEMANDING for little firsties and I really feel like student ability, parent involvement, and after-school activities need to be taken into account as well. I never want my homework to be too time-consuming or too difficult and that can be really hard to manage with a class of 25ish students. So after 5 years of experimentation I finally found my system that works for me and I thought I would share it with you! 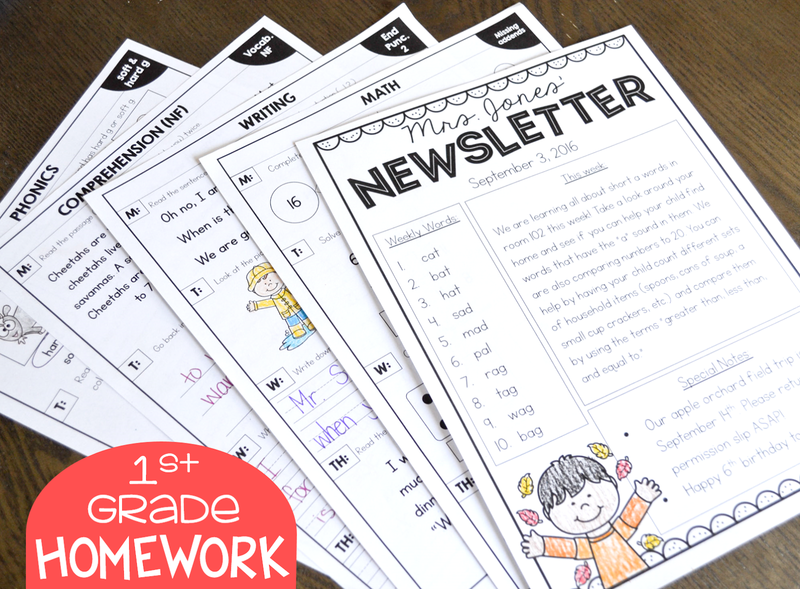 After 5 years in the classroom I finally settled on a homework packet that I would send out each week on Monday that is returned on Friday. It made it simple for me to prep, copy, staple, and send along. However, each week I would look at our skills we were learning or reviewing, scour through tons of old workbooks, search online for the *best* pages, make my copies, and finally send them on their way. It was WAY TOO TIME CONSUMING! I also knew that having all my students completing the same homework was a disservice to the ones who may not need practice with that skill and the students who may be working below that current standard. In this digital age I thought there must be a quicker way to find the pages I needed for my homework packet. So I created my own system and my own pages that work for my needs. 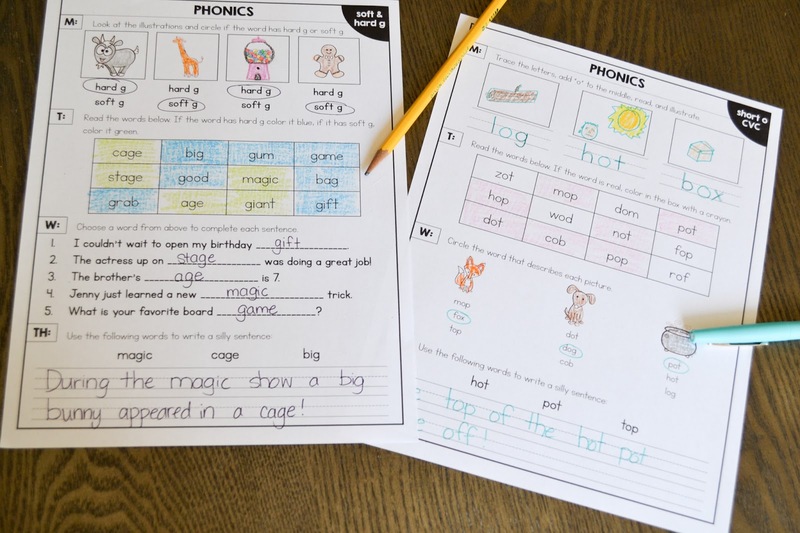 I know everyone does homework differently and many have differing beliefs on homework in first grade in general but I thought I would share my own system because, well, it is what has worked best for my classroom and may be beneficial for others! First, I always like to send home newsletters each week to my students' parents! I keep them pretty simple and let them in on what we are learning in the classroom. Some parent read it with their child, others read it by themselves, others don't read it at all. Either way, I like to send em home! It helps me stay organized and can be a great reminder tool for my parents when we have open houses, parent-teacher conferences, and field trips. I have one template per month and then change the date and wording each week! 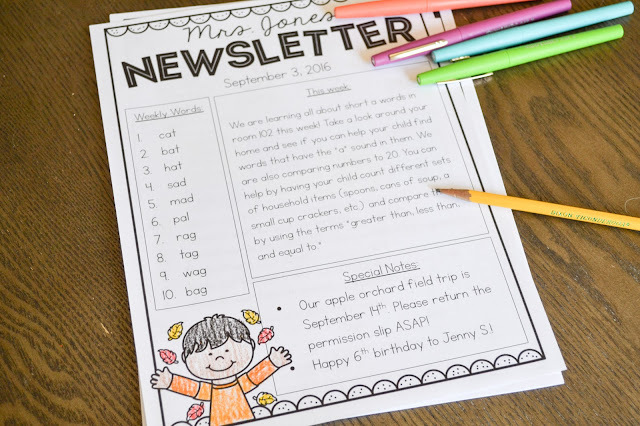 Behind the weekly newsletter I send home different homework pages based on all sorts of factors. I like having options!!!! I made at least one page for each topic I teach throughout the year. I have never been a fan of longgggg homework that is too overwhelming and I think students just need *quick* reinforcing practice each night so that played a big role in the way I set up my homework. 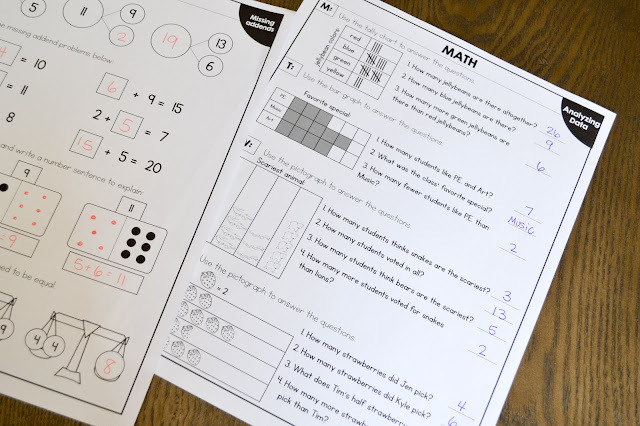 You can see a little more about the homework pages below. Again, I like having options and I know most teachers do too! So based on the skills I'm teaching that week, a student's ability level, parent involvement, I will send home what I believe to be a reasonable HW packet for the week. You can do the same for your students! Maybe you don't send home homework because in your community it doesn't get sent back. 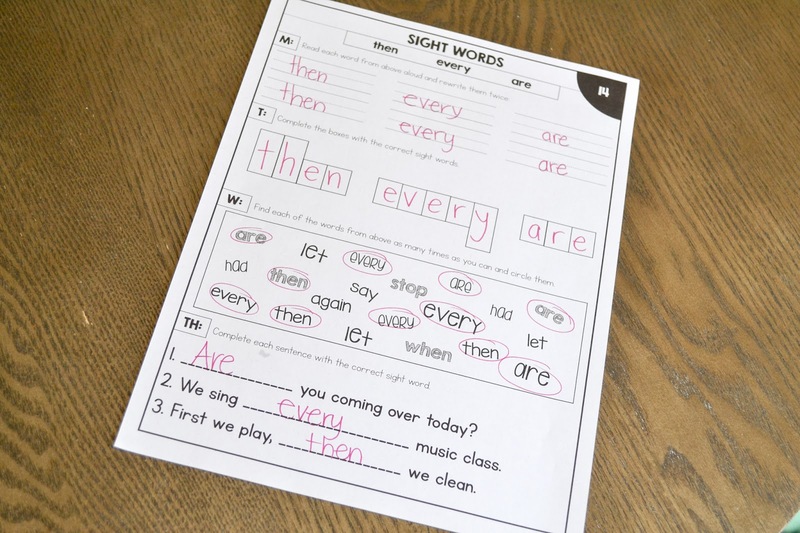 Well, these quick check-ins can easily be made into morning work that only takes minutes to complete while students practice their skills. 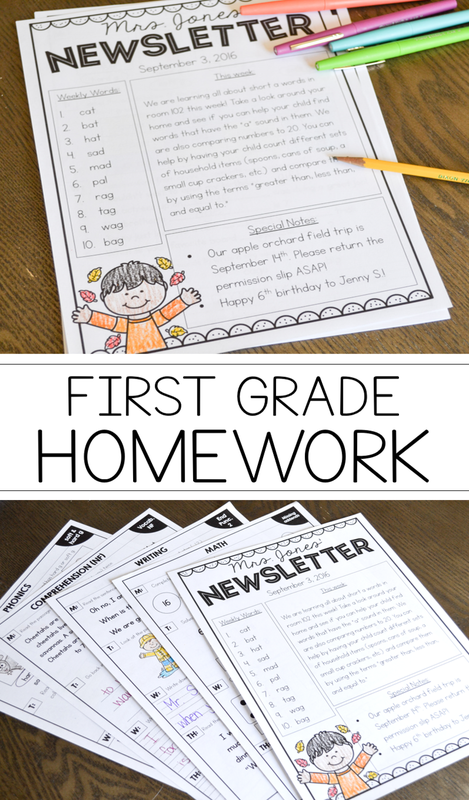 If you think this type of homework might be for you or you want to try and switch it up this year, go ahead and take a closer look at some of the pages in my unit by clicking the unit below and downloading the preview!